We, here at the beautiful waterfront Historic Kent Manor Inn located on the Eastern shore of Maryland, have been host to hundreds of weddings. Right after a detailed rehearsal of the actual ceremony, many of our couples have even decided to do the rehearsal dinner with us. 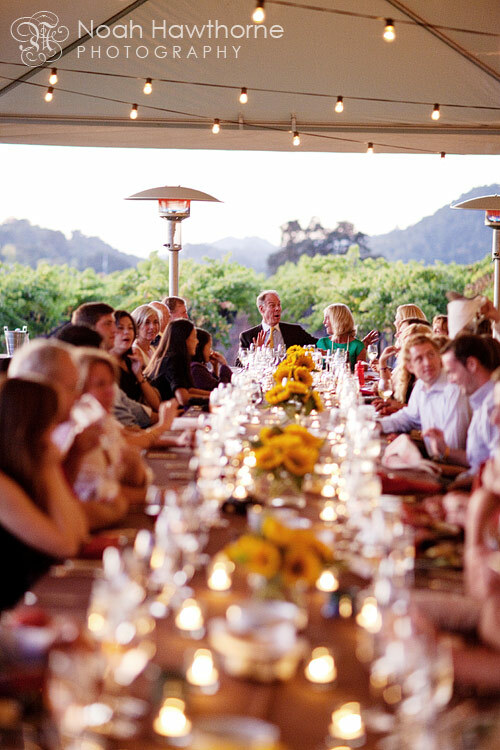 If you’re in the stages of planning a rehearsal dinner, here are a few Q&A’s to help you along the way. Traditionally, the groom’s parents pay for the rehearsal dinner. Although, more couples today are choosing to pay for the event themselves or ask both sets of parents to split the cost instead. Just keep in mind that whoever is paying is the host and should have final say on the details. Typically, the rehearsal dinner is held on the evening before the wedding right after the ceremony walk-through. That doesn’t mean you can’t bend the rules; if a few days or a week before the wedding is the most accommodating time for you and all your guests, then so be it! Your rehearsal dinner must at the very least include all members of the wedding party (plus their dates or significant others), officiant, siblings and all parents, step-parents and grandparents of the bride and groom. These are the main people who will be participating in the actual rehearsal of the ceremony and therefore should be invited. You should also invite ring bearers and flower girls (with their parents), if you are having them participate in the rehearsal. After you have invited anyone who is actively participating in the wedding, you can choose to invite additional guests such as out-of-town guests and close family members. The best time to plan is about 3-4 months before the wedding. At this point couples will have a better idea of how many people will be attending the dinner and can plan for a location and menu that will accommodate these guests. Most couples have Saturday weddings but that doesn’t mean that you have to have a Friday night rehearsal. If you can organize a Thursday evening rehearsal dinner, there’s a higher chance of getting reduced pricing. Is there anything else that happens at the rehearsal dinner? Toasts: The groom’s parents, if they are hosting, can welcome guests and say a few words about the soon-to-be married couple. This is usually followed by the Best Man and then any other well-wishers who want to take the floor. These toasts can be a bit longer and more humorous than the ones at the wedding. So, let your wedding-day toasters know that if there’s something that they want to say but might be inappropriate for the day of the wedding- this is the time & place to say it! Gifts: There’s no better place than an intimate party with friends and loved ones to share your thank-you gifts with your bridal party, especially if it’s something you want them to wear for the big day. Special Presentations: Many rehearsal dinners feature videos incorporating footage from the couple’s childhood. If you can’t afford to have a huge plasma screen TV with a slideshow of your baby pictures at the wedding- this is a much more affordable way to have it. You know what they say, “Practice makes perfect,” so we hope you take these tips and advice into consideration to make sure your “Practice” party runs as perfectly as your big day! For more questions and concerns about rehearsal dinner etiquette, don’t hesitate to call up the venue you’re hosting it at and have them give you their opinion! The beautiful waterfront Historic Kent Manor Inn has hosted hundreds of rehearsal dinners for many of our Maryland and Eastern shore weddings, so we have some great advice on what’s trending and what’s not. This entry was posted in annapolis, eastern shore, historic_inn, Kent Manor Inn, rehearsal dinner, waterfront, weddings. Bookmark the permalink.